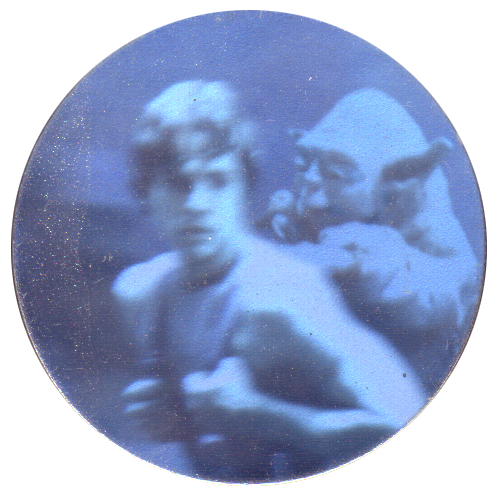 Info:Star Wars Hologram Tazos were released as part of Series 3 of Tazos released in Australia. They were produced in 1996, to promote the release of the Star Wars Trilogy Special Edition films. The front of each Tazo is an image from one of the films printed as a hologram, while on the back it gives the number of the Tazo and the name of the characters depicted on the front. 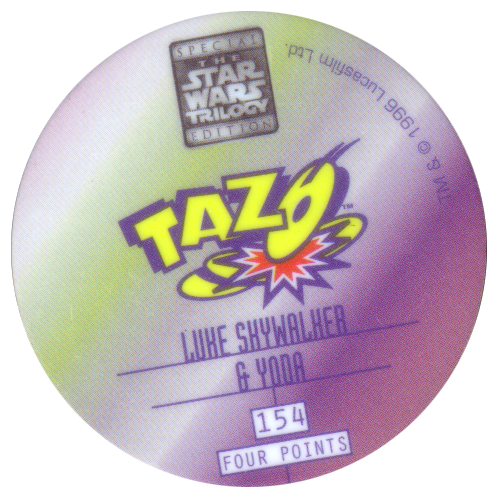 It also has a point score on the back, which is 4 points for all Star Wars Hologram Tazos. Unlike most Tazos, these Tazos have no notches in the sides.